As y'all know, I am headed to college this fall and as you can imagine all I have thought about recently is how to decorate my dorm! Sadly, Furman does not allow freshman to choose their room mates so instead, we take a survey and the school matches us based on that survey. I will not find out my roommate or which dorm I will be living in until mid July so I am going ahead and doing most of my dorm shopping now since I will be gone all summer. 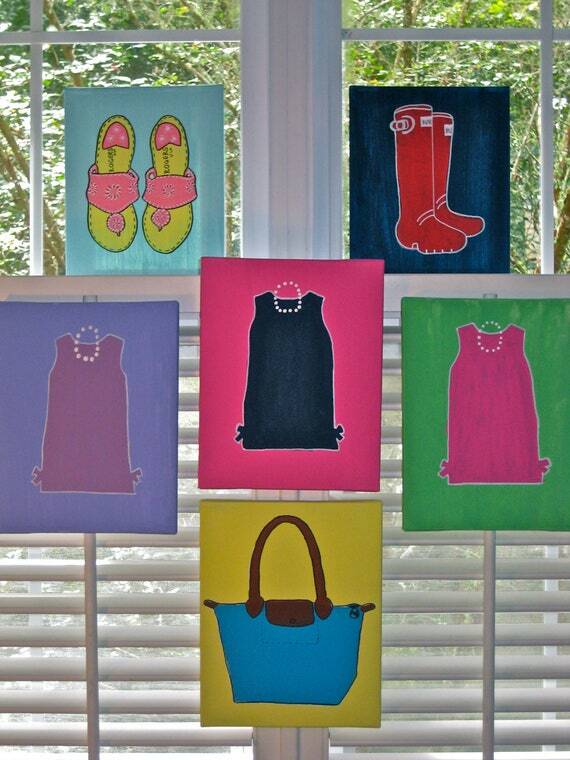 Below is some inspiration for the dorm room decor I am trying to create! 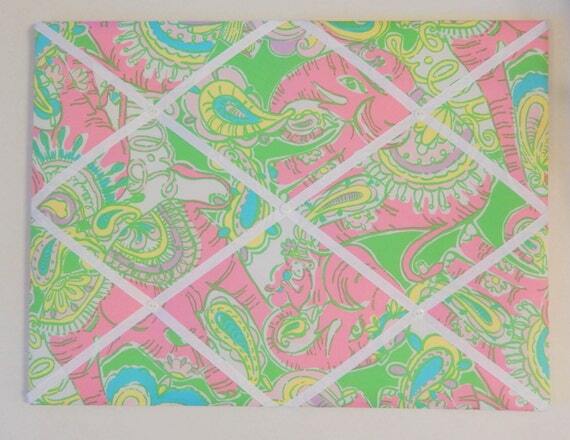 As you can see from the image I am kind of basing my dorm around Lilly Pulitzer's Chin Chin print. I could not help but fall in love with the colorful elephants on the pattern and that is why it is going to be my accent pattern! As for bedding, I am really struggling to find a duvet that works. I really want a light aqua colored one that I can fold up at the end of my bed but finding that online is easier said than done. I have found a really fun white ruffled quilt that I am hoping to use as my covers with the duvet at the end during the warmer months and then during the cooler months I can use the duvet and have the blanket at the end of my bed. If y'all know of anywhere where I could find a light aqua (to match the blue in the chin chin print) duvet then please let me know! Here are two of the quilts I am looking at! I love the ruffles on the quilts. I know it is kind of discouraged to look for any white bedding but I want something plain to keep my room looking modern and not too colorful. On the same note as bedding, depending on which dorm I get, I will probably get a headboard made to make my dorm room look like home. I have ordered some Lilly fabric in the Chin Chin print so I can make the headboard out of that or I can do something plain! As for accessories, I ordered a precious memo board and monogrammed pillow from the etsy store My Pink and Green Garden and I am super excited about those! 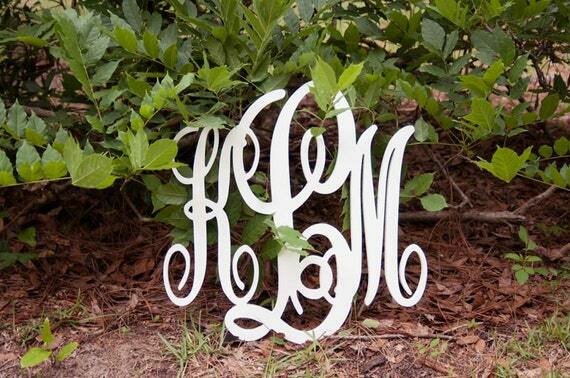 I also have a large wooden monogram that I plan to take to college with me that I received from my aunt for my birthday so that will be a fun addition. For my desk and storage I plan to get some of Lifeguard Press's Lilly Pulitzer storage bins in Chin Chin to use over my desk, under my bed, and in my closet! Sadly, the print does not look identical to the fabric of Chin Chin because it is a bit darker and does not have the same blue accents but it will look cute nonetheless! For other storage, I plan on recovering a storage ottoman from target to use either as extra seating, a stool, or even a bedside table. 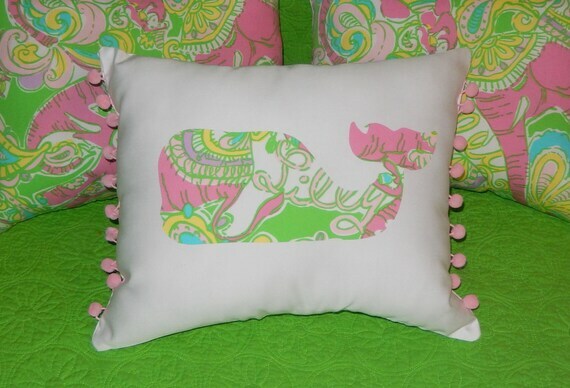 I plan on recovering it in the Lilly fabric I purchased and by doing it myself I will be saving a lot of money as opposed to if I were buying it from decor 2 ur door, a custom dorm room bedding company that sells similar ottomans! Their ottomans are priced at $125 and I will be purchasing my ottoman for $20 and recovering it with my moms help! 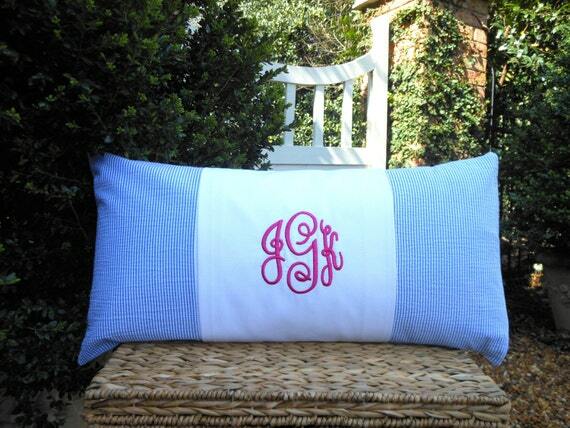 I plan on having lots of fun and decorative pillows on my bed and have already started shopping around for them. I found an awesome etsy shop called IvyHalls that specializes in dorm bedding that has the cutest accent pillows and euro shams that I am hoping to order! 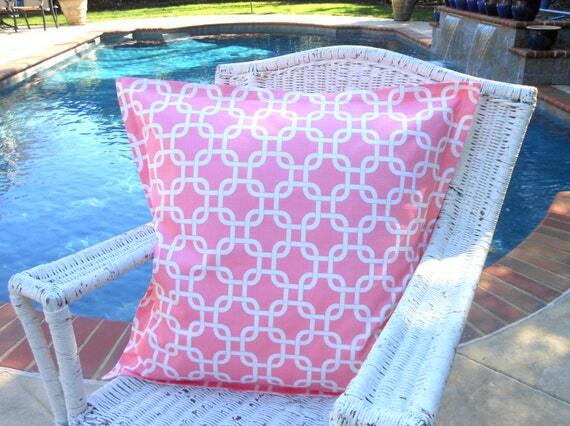 I will not be ordering the accent pillow in that color but I wanted to give you an idea of what it looked like! 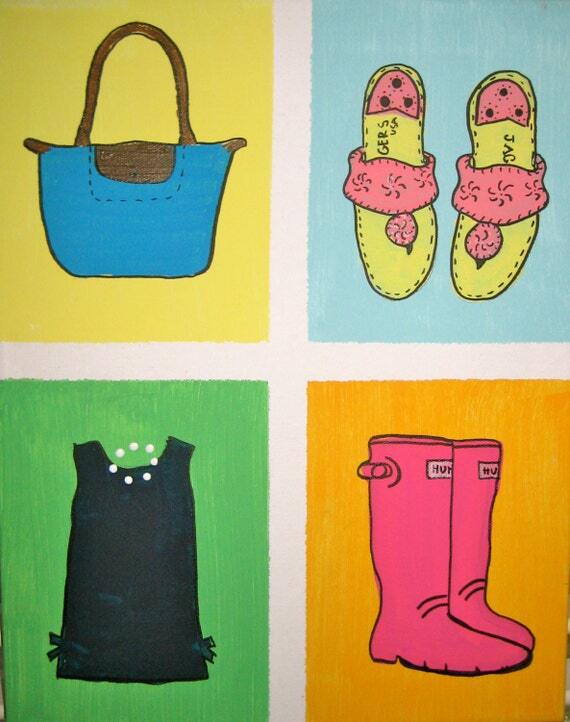 For wall art, I will probably paint myself some cute painting in colors that will match my bedding. You can find my paintings on Etsy! That is all I have really done at the moment but you can expect lots of dorm room idea updates pretty much until I get to school and have it decorated! If you want to see more dorm room inspiration from me follow my Dorm Room and College Life board on Pinterest or just follow me on Pinterest in general! Don't forget that all this week I will have 2 posts up per day! Content based posts will be up at 9 AM and fun product and shop posts will be up at 3 PM! This is so cute!!!! I love the chin chin print!!! Not to screw up your plans/freak you out but freshman year one of my suitemates had gorgeous white pbteen bedding that she totally ruined with stains and whatever from freshman year. When her mom came to pick her up, the mom ended up just throwing it away because she didn't think dry cleaning would work. You're probably neater than this girl, but I don't want you to spend a lot of $$ on the white stuff and then its ruined in a year! Can't wait to see what else you find!!! I LOVED shopping for dorm stuff!!! 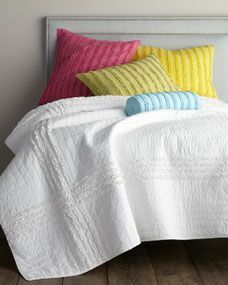 Try pottery barn teen for a duvet! Thats where I got mine and used it all 4 years of college!! So fun! I wish I could decorate a dorm room again! It's so sad you can't find out who your roommate is to coordinate with her! I just got my room done for my birthday and my mom ordered the IvyHall pillows! The Eurosham and accent pillow are adorable but order the inserts off of Amazon where they are the most inexpensive. I currently live in a dorm, and bought a monogrammed duvet from Pottery Barn. It's so cute, and has held up great for the past two years! Hopefully it will do just as well in college for the next four! Here's the link if you're interested.